Christian Picciolini is an award-winning television producer, a public speaker, author, peace advocate, and a former violent extremist. After leaving the hate movement he helped create during his youth in the 1980s and 90s, he began the painstaking process of making amends and rebuilding his life. Christian went on to earn a degree in international relations from DePaul University and launched Goldmill Group, a digital media and counter-extremism consulting firm. In 2016, he won an Emmy Award for directing and producing an anti-hate advertising campaign aimed at helping people disengage from violence-based extremist groups. Christian’s life since leaving the white-supremacist movement over two decades ago has been dedicated to helping others overcome hate through such organizations as Life After Hate and ExitUSA. 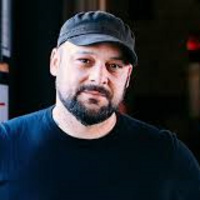 Good to read about this great person Christian Picciolini and he is a co-founder of a nonprofit peace advocacy organization called Life After Hate. http://howtofixprinterissues.com/troubleshooting-printer-issues Also, he got many awarded for a public speaker, author, peace advocate.